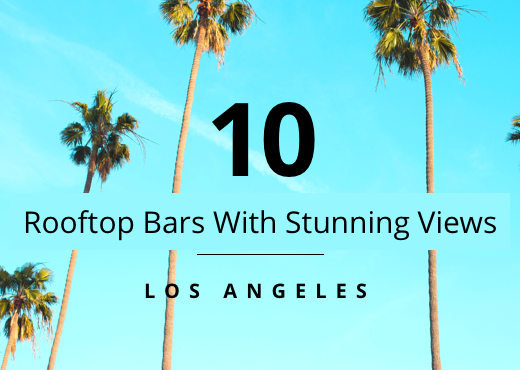 Ten million residents in Los Angeles County means that little can actually be secret, but there are some hidden beaches that just might surprise you and become a new favorite. Summer is heating up and throngs of people will be out searching for a place to plant their beach chair where the spray of the surf in the breeze will cool them down on a hot summer’s day. So where can you go to enjoy a day at the beach without crowds of beachgoer’s ruining your fun time? 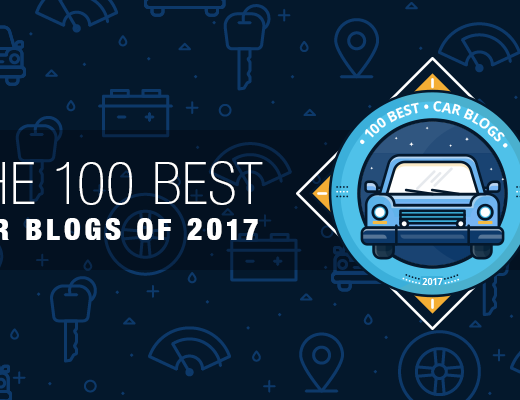 These beach options are must do’s for those who want to experience surfing, swimming, rock-climbing, hiking, and sunbathing away from crowded, over-used beaches. Let us introduce you to adventure beaching at its finest, while guiding you toward a relaxing and serene day in the sun. This Malibu hidden stunner will become a favorite beach getaway at first sight. El Matador State Beach is one of three “pocket beaches” that make up the Robert H. Meyer Memorial State Beach area. Accessed from a somewhat steep path from the street and cliff-side parking area above, this picturesque beach will not disappoint. Mammoth rock formations punctuate the beach which adds to the overall atmosphere and helps to create some of the most stunning photo opts you’ll find in the area. Don’t be surprised if your visit is shared with both amateur and professional photographers alike conducting photo shoots. The beach itself is somewhat narrow, so arrive early to get a good spot. Bring a picnic as there is no food service available. There are also no lifeguards on duty. Portable toilet facilities are available in the upper parking area. Hopefully, your time at the beach will coincide with low tide so that you can more fully explore caves, tide pools, and hidden nuances of the rock formations. The Abalone Cove Shoreline Park is the perfect spot for those into hiking and nature watching. Part of the Abalone Cove Ecological Reserve, the area is rich with possibilities which often includes views of whales migrating offshore, pelicans, and sea lions swimming in the surf or sunning themselves. 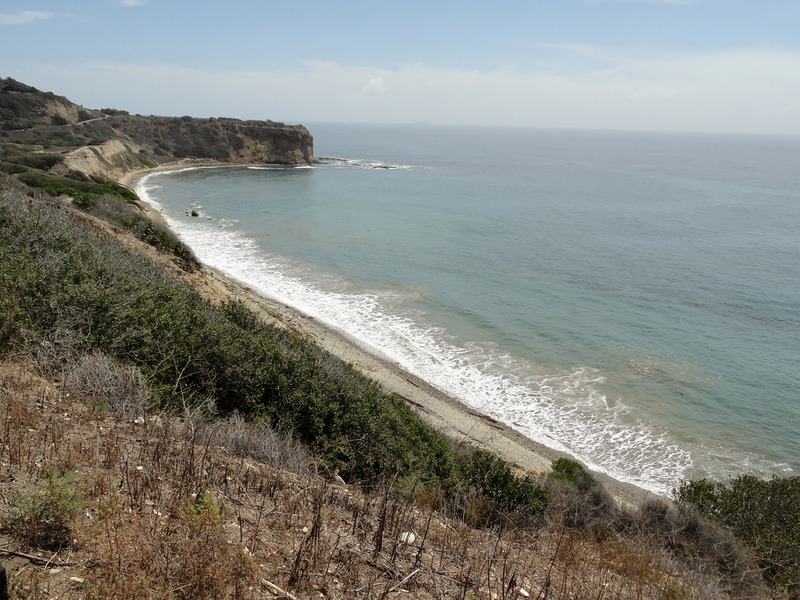 A haven of natural beauty and great vistas, the Abalone Cove Shoreline Park beckons park goers to hike the many trails of the beach park’s share of the 64 acres that encompass the ecological reserve. While famed for its nature-rich tide pools, the City of Rancho Palos Verdes has closed the portion of the beach and tide pool areas at Portuguese Point of Abalone Cove Shoreline Park due to the unstable cliffs above the area and falling rocks. Beach park grounds are open every day from 9 a.m. – dusk (closed December 24th-25th and New Year’s Day). This is a protected area so enjoy a hike, comb the beach for sea glass and unusual rocks, take lots of pictures, but leave behind any treasures you find for others to enjoy as well. 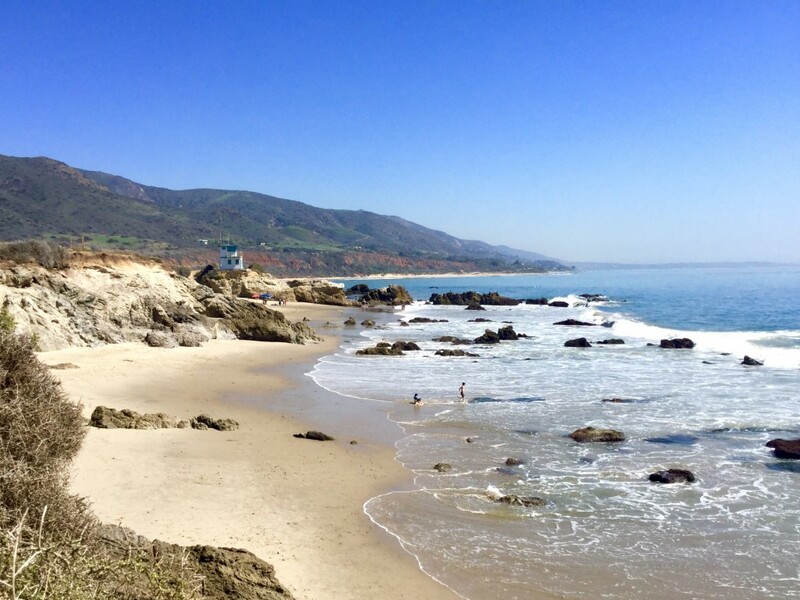 This inviting beach park is a part of the larger Leo Carrillo State Park and includes a 1.5 mile stretch of outstanding beachfront perfect for swimming, windsurfing, and beachcombing. The beach is divided into two distinct beach areas, north beach, and south beach. The dividing line is noted as Lifeguard Tower 2, visible from the bluff which overlooks the beach. Access to either beach area is gained through parking areas on the Pacific Coast Highway or from inside the Leo Carrillo State Park Campground. North beach is described as a family-friendly, dog-friendly beach (pets must be on-leash). Closest to the campground area, this open, sunny section of beach is just right for a day of play in the surf. Bring your own food and goodies as there are no food service options in the area. South beach is home to coastal caves, offshore reefs, and tide pools ready for the adventurous to explore. The combination of rocky outcroppings, surf-worn stones, and silky sand make this a beautiful beach. This is also a great place for kayaking and body surfing. 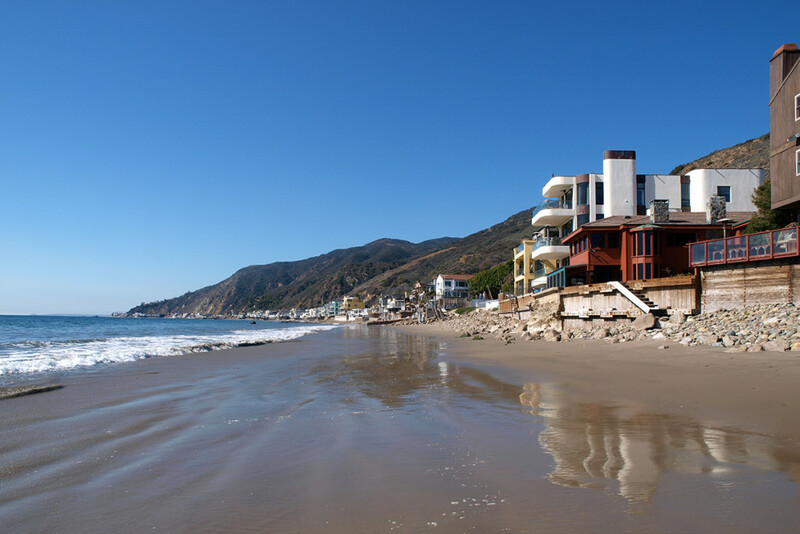 Located at the bottom edge of Topanga Canyon in the southern area of Malibu, Topanga Beach is a surf haven for locals and visitors. The waves and ocean swells make this beach a destination for surfers. Some may find a small area for swimming and bodysurfing but oftentimes lifeguards will call swimmers to come in. Non-surfers can enjoy a day of sunbathing and fun while experiencing the compelling exploits of surfers just off the beach, great sunsets, and scenic views. There are restrooms, showers, and a picnic area which make for a much nicer day at the beach. Care should be taken as the sand is littered with rocks. At low tide, exploring the exposed beach area is a treat but it is suggested that water shoes be worn due to slippery areas amid the rocky terrain. A partial rock wall enclosure at either end of the beach helps to make the beach feel secluded, protected, and appealing for parents with small children. Note: This beach is not dog-friendly. 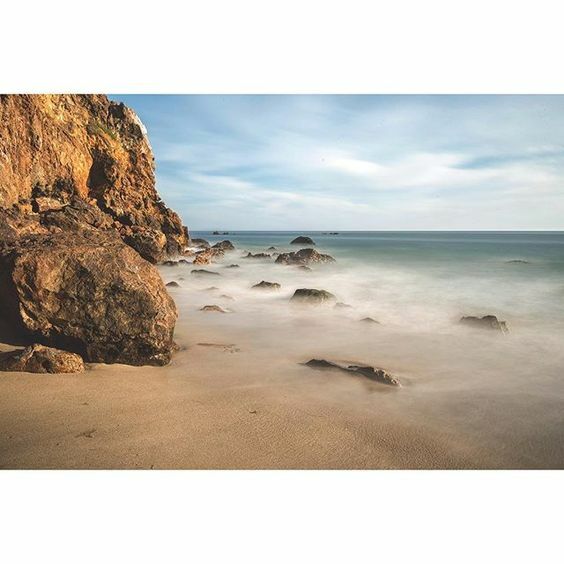 Point Dume State Beach is one of the most beautiful hidden beaches on our list. This secluded stretch of sand is a favorite of locals, visitors, and rock climbers. Rock climbing is the activity of the day for experienced adult climbers with the proper equipment. If you’re not a climber, a trail will take you up to the top of Point Dume where, standing above the beach, you’ll find stunning, scenic views of the beach ocean, and the city skyline in the distance. A peek over the cliff will also expose the secret “Pirates Cove,” a hidden, exclusive cove where you’ll undoubtedly encounter local sea lions. 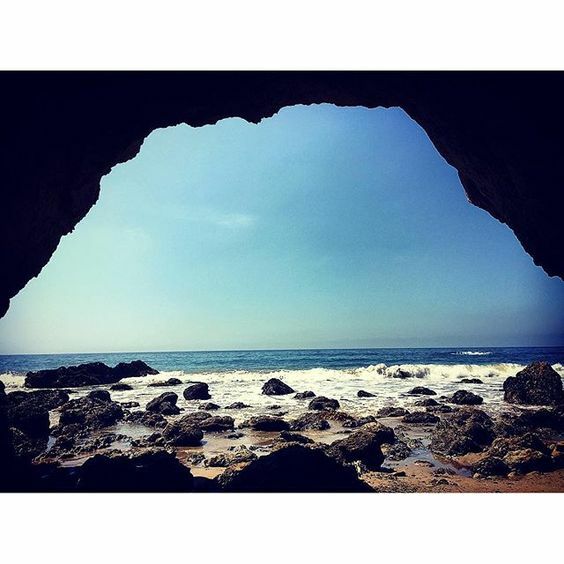 Point Dume State Beach features rocky coves, headlands, and hiking trails. Facilities include picnic areas for your convenience while spending the day swimming, snorkeling, scuba-diving, windsurfing, or watching the area’s wildlife including gray whales during their December-April migration. The beach park is open from sunrise to sunset. 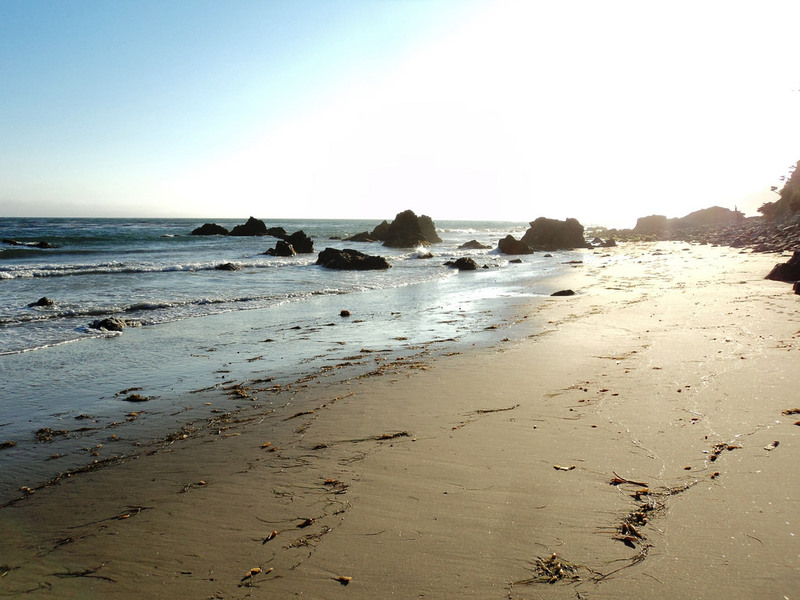 Lechuza Beach is a secluded, hidden gem close to El Matador Beach. There is an accessible entrance off of Broad Beach Road and Bunnie Lane. Although Lechuza is a public beach, parking and access is granted through a residential neighborhood area with on-street parking. Walk down the path (there are two different paths) and then wonder at the truly inspirational sight once the beach comes into view. The character of this sandy cove is similar to El Matador with huge rock formations adorning the beach. You’ll feel as though you’ve found your own little safe haven at Lechuza. Enjoy a day of sunbathing, exploring tide pools, walking, and soaking in the relaxation of this oasis. Not ideal for surfing or swimming due to the many rocks and gentle waves, this beach is perfect for a restful sunny day lounging on the sand. Somewhat sheltered by its location and shape, the beach is near-ideal when escaping windy days. You won’t regret a day at Lechuza. It may become your favorite place to just be. 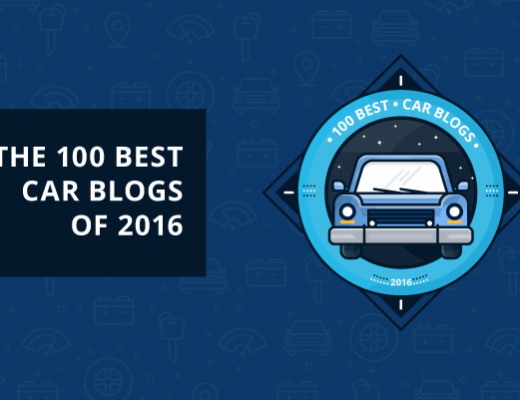 Do you have a favorite beach, outdoor venue, or summer plans to share? Tell us about it HERE in the comment section below. 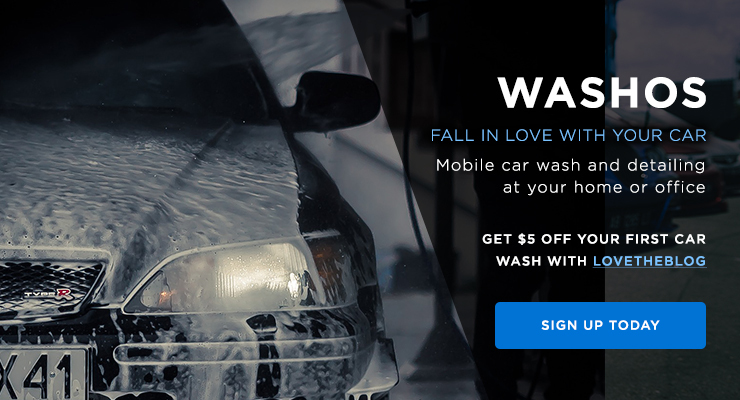 Call Washos to take care of it. 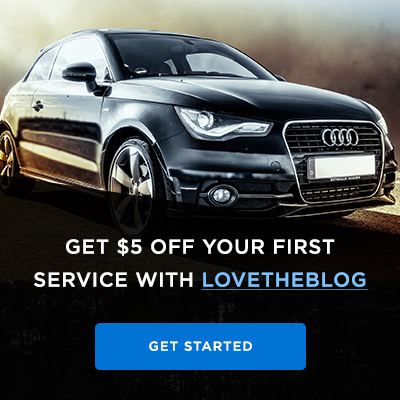 We will thoroughly clean the inside and outside of your car at your home or office. No need to wait.